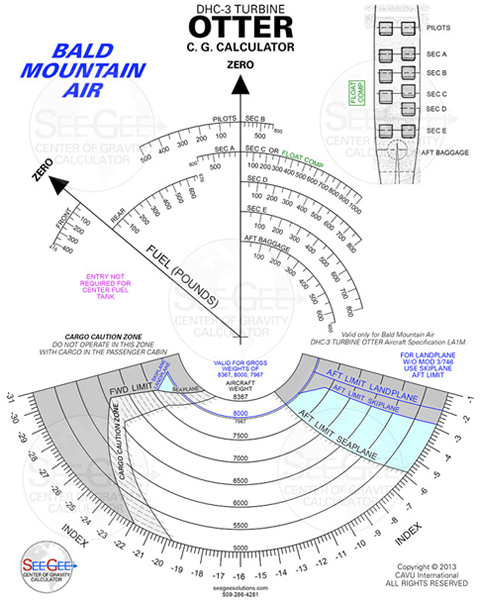 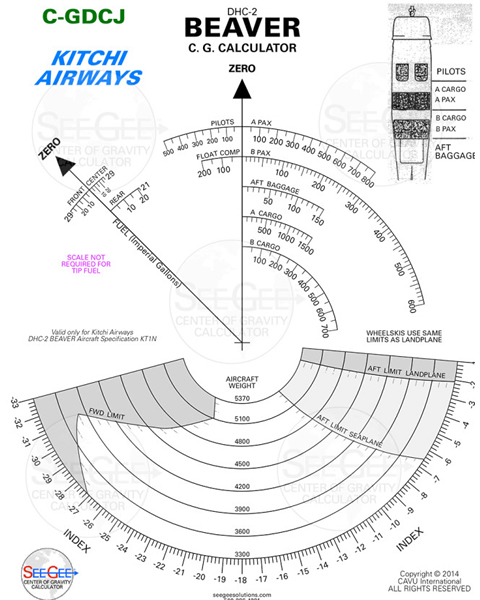 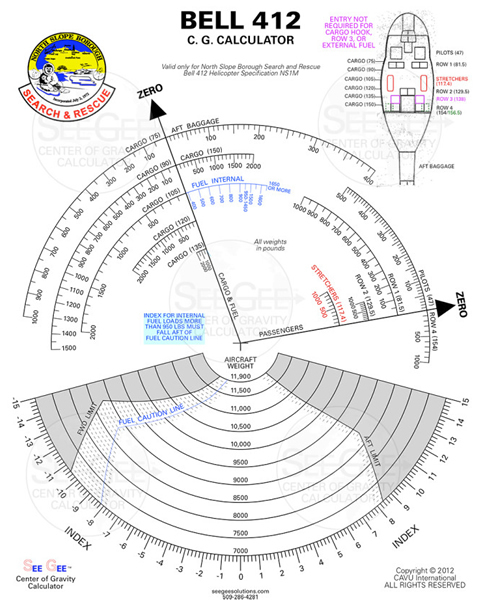 SeeGee™ Calculators are custom-made Center-of-Gravity Calculators for all types of aircraft, including both fixed wing and helicopters. 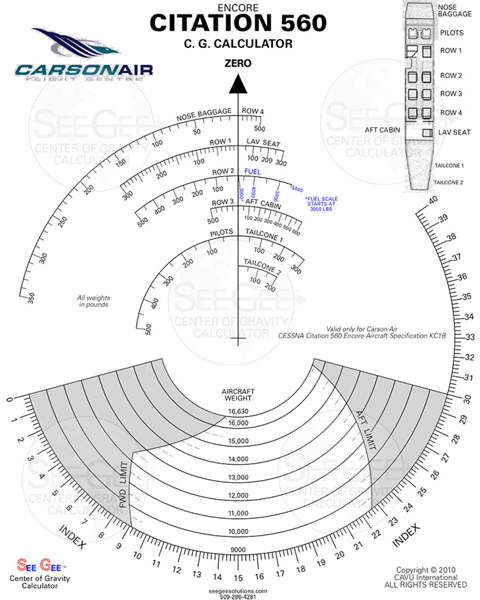 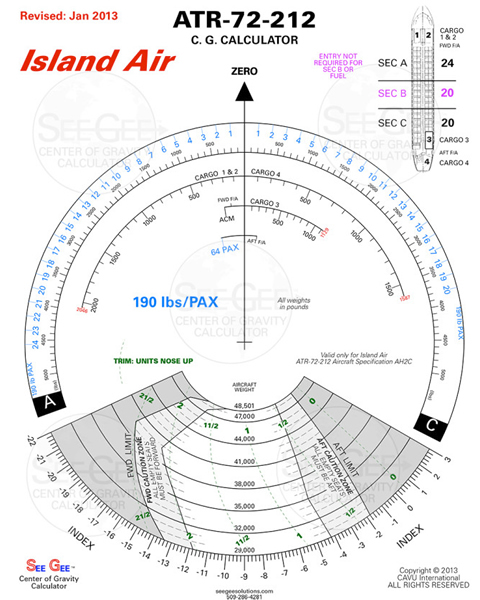 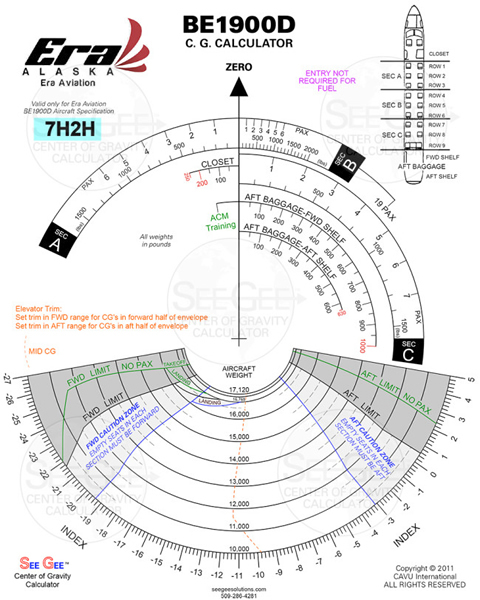 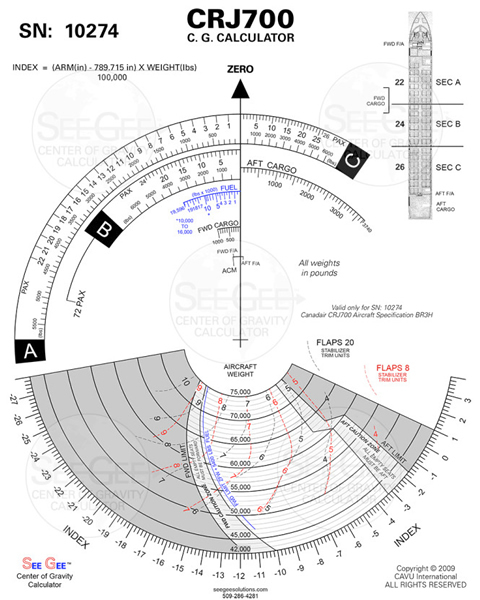 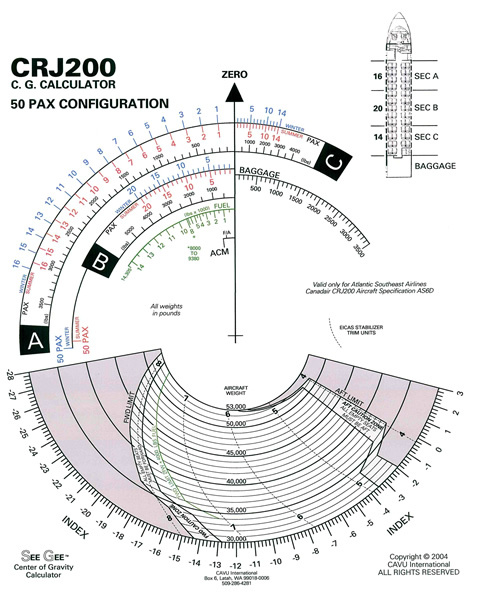 These simple to use calculators are employed by many operators, from small private companies to large commercial airlines, to meet safety and regulatory requirements for determining CG location. 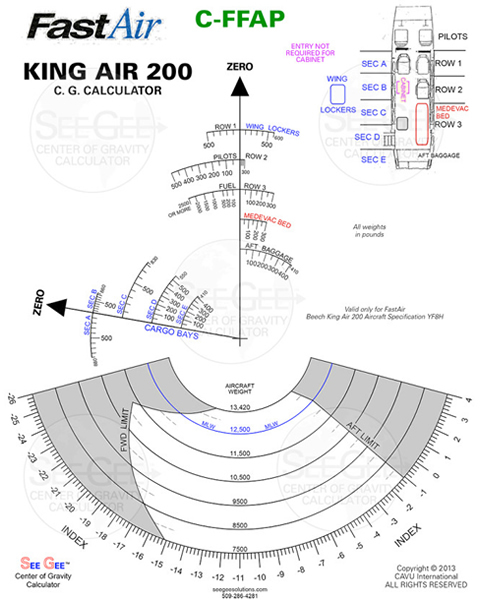 Each SeeGee™ Calculator that we produce is tailored for your unique requirements while adhering to the aircraft manufacturers specifications.